If you want to achieve an individual fitness goal, personal training is the route to take. 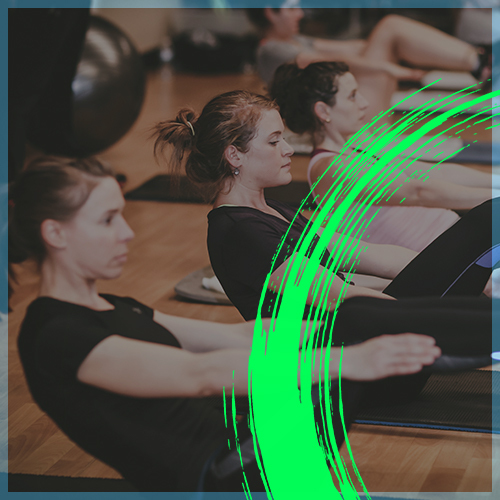 Whether you want to lose weight, increase strength, recover from an injury, train for a fitness event, or just to benefit from the knowledge of a certified trainer, an individually designed program means better and faster results. 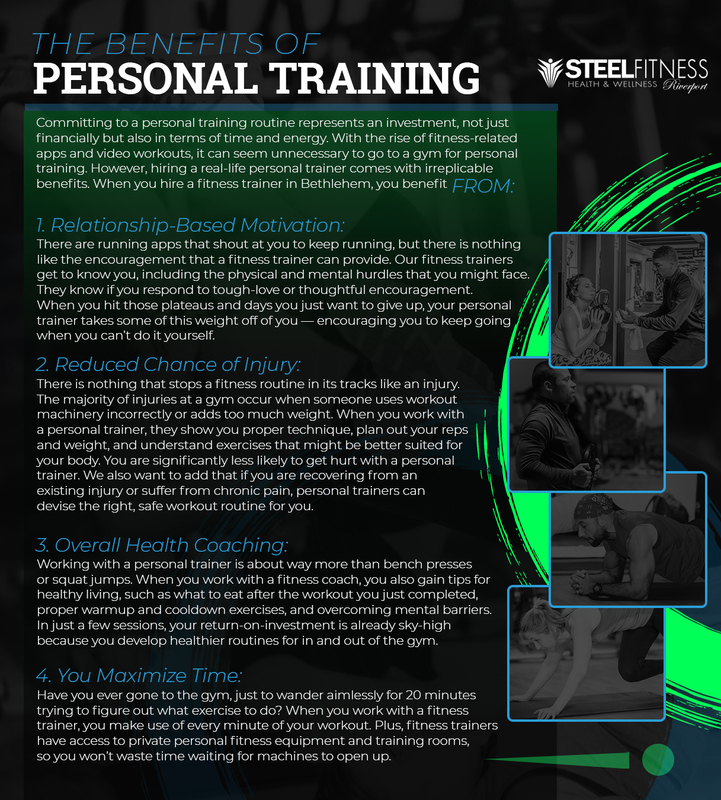 Steel Fitness Riverport has a world-class team of personal trainers who are certified, experienced, and, above all else, committed to your personal growth. With a team of nearly 10 personal trainers, you can choose a personal trainer who best aligns with your fitness goals, personality, and training style. Meet our team today to see who might be the personal trainer for you! Personal Training is an amazingly effective and efficient way to achieve your individual fitness goals. You can expect your fitness trainer to speak with you about your fitness goals, assess your movement, and then design a personalized fitness routine accordingly. You can choose the number of sessions and plan your fitness training for whenever works with your schedule! During training sessions, you can expect a focus on safety, proper technique, and a fitness sequence designed specifically for you. At Steel Fitness Riverport, we take a holistic approach to personal training. 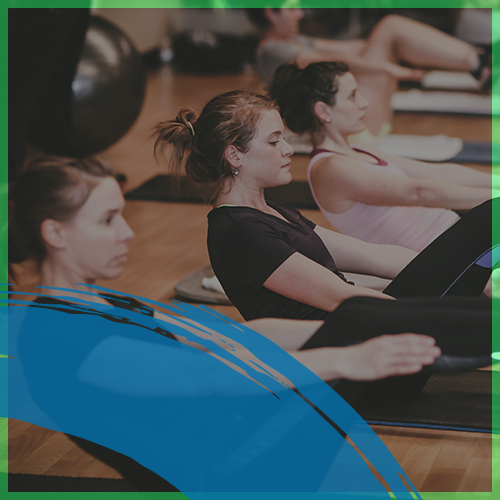 Our individual fitness sessions are about much more than giving you a few exercises to do; instead, we work with you step-by-step to develop sustainable fitness and wellness practices. Call us today to schedule a free consultation with a personal trainer! When you join Steel Fitness Riverport and work with a personal trainer in Bethlehem, you also gain access to state-of-the-art gym facilities. We have different membership options to fit your lifestyle and fitness needs, and each gives you access to our fitness floor and club amenities (sauna, tanning beds, and towel services). We have outlined two of our membership options below, so you see how much you get beyond any fitness training sessions! Starting personal training sessions also means joining our incredible gym community — at Steel Fitness Riverport, you can train hard with your fitness coach, attend group fitness classes on your own, and relax after a hard workout in our whirlpool. We have it all, and we are excited for you to benefit from our gym facility in Bethlehem and our other locations throughout Pennsylvania.